Bigben and Eko Software have announced that Warhammer: Chaosbane, the action RPG set within the Warhammer Fantasy Battles universe, will be coming this June. Unless you pre-order the Magnus Edition of the game, which grants early access several days ahead of the launch date. Pre-ordering will also grant access to two beta phases scheduled for March and April, as well as an XP bonus active for the entirety of your character's progression, and a pack of four legendary crates containing four cosmetic helmets for your character. There are no loot boxes in Chaosbane. 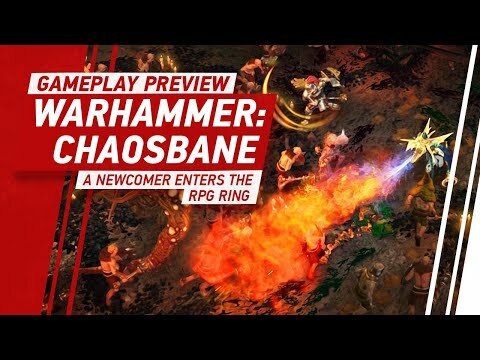 Warhammer: Chaosbane offers class-based online or local co-op for up to four players , as you battle the hordes of Chaos, unleashing Bloodlust, a devastating mechanic unique to the game. 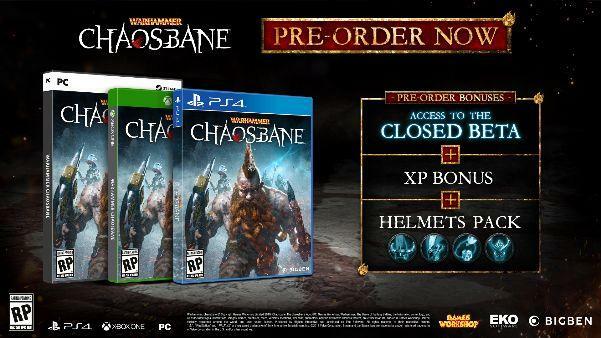 You'll be able to get your mitts on Warhammer: Chaosbane when it launches for Xbox One, PlayStation 4 and PC on 4th June 2019, unless you pre-order the Magnus Edition to play early on 31st May.